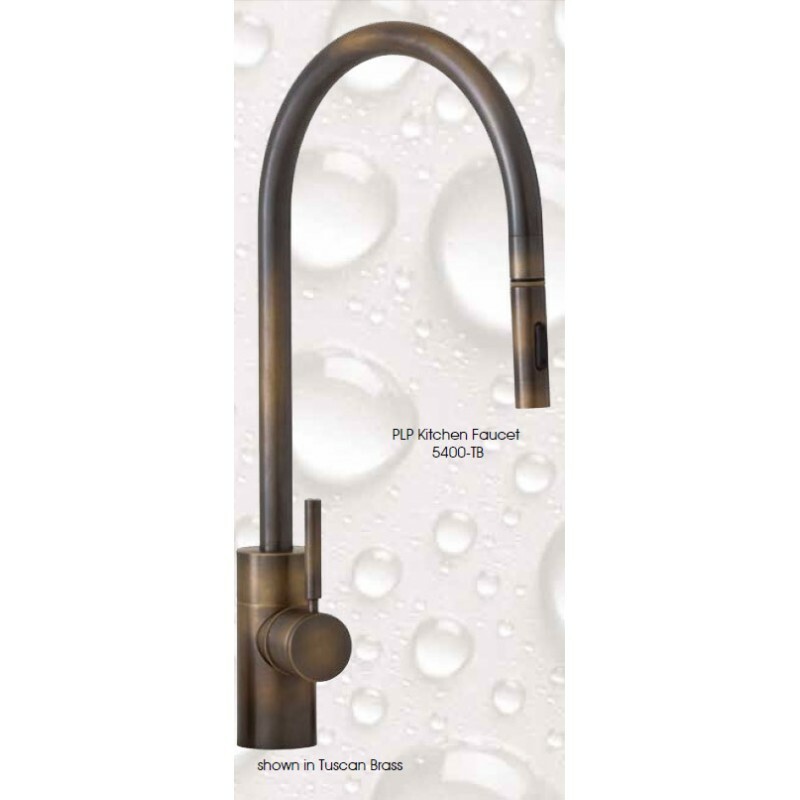 PLP pulldown kitchen faucet. Contemporary style. 17" x 9". The Waterstone 5400 is the kitchen faucet king. Easily able to reach all areas of the largest sinks. If you find a lower price "online" by an authorized dealer, call me, I will match the price and offer free shipping! Faucet is 17" tall with a 9" reach. Positive lock spray head that locks in place and stays every time. Braided nylon hose that’s quite easy to operate, no kinking or leaking. Dual spray toggle that can be switched back and forth from spray to aeration without turning off the faucet. No rubber boot over the toggle to wear out come off...SOLID BRASS spray head 11” of clearance from the top of the sink to the bottom of the spray head, LARGE pots welcome… Faucet comes with the counter weight pre-installed, no parts and pieces; it’s a 5 minute installation. Faucet can be mounted with the handle in any position, facing left, right or forward. Handle can be removed and adjusted at 22 degree intervals to avoid back splash issues. 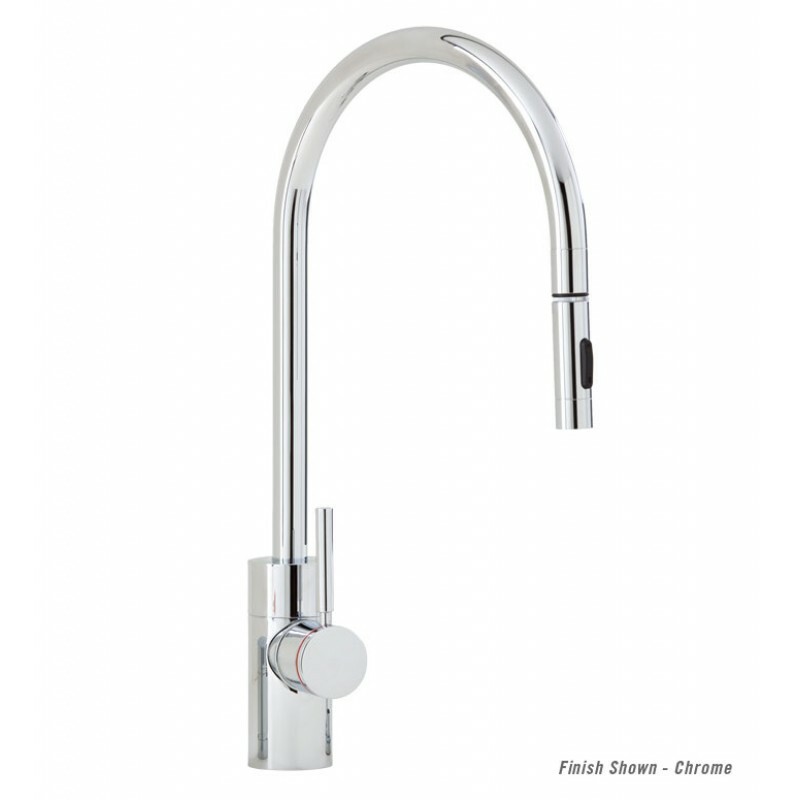 No set screws or covers, the faucet is precision engineered, no place to catch food or other debris, easy to clean. Eleven matching pieces to “suite” the entire family, every water outlet in your kitchen will match in both form and finish. 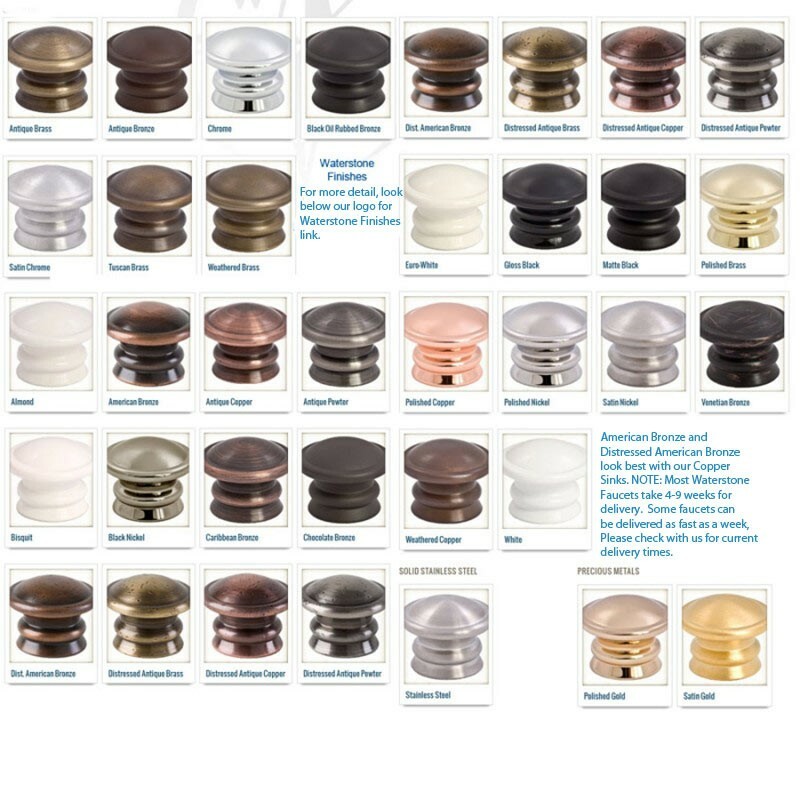 Available in 30 Finishes Made of solid brass or stainless steel, LIFETIME functional warranty. Made in the USA. Meets California and Vermont new no-lead law. I almost forgot to tell you... 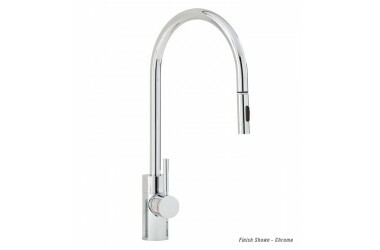 These faucets are made to order and can take from 4 weeks to 8 weeks to receive.